Bethesda Softworks is well known for its massively open and influential role-playing games for the PC. Fallout 3, The Elder Scrolls: Morrowind, and The Elder Scrolls IV: Oblivion are all best-selling examples of Bethesda's previous work. 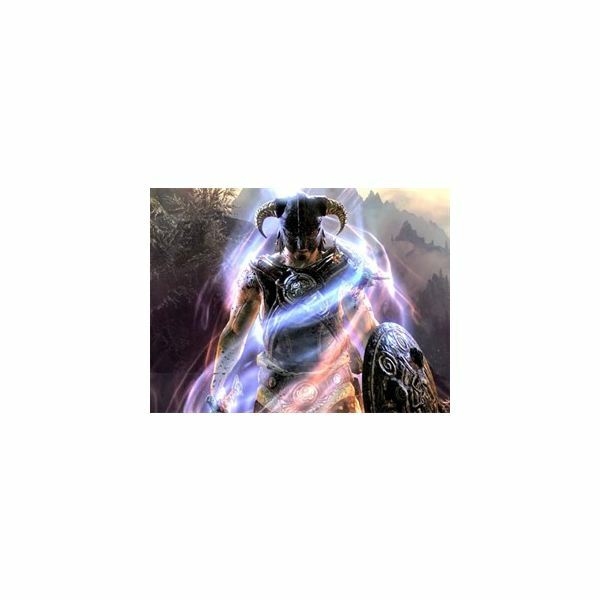 The Elder Scrolls V: Skyrim, with a release date of Fall 2011, looks to continue the developer's recent RPG successes. Skyrim is quite an ambitious project, with numerous changes leaked to the press already. While many of these supposed improvements on the Oblivion format are relatively small, there are some fundamentally critical Skyrim gameplay changes that may make The Elder Scrolls V: Skyrim one of the best games of 2011. 5. No More Boring Dungeons! Exploration is one of the best aspects of the Elder Scrolls series. From the moment you leave the Imperial City in Oblivion, simply wandering through the forest becomes an immensely immersive experience. But what happens when you eventually stumble upon an elaborate yet decrepit tomb? Grabbing your torch in one hand and your mace in the other, you enter the tomb, thwarting undead terrors and horrors of the deep, only to find one solitary chest locked tight with a hard padlock. As you finally pick the chest open, your sense of nervous excitement turns to frustrated despair, as your reward for risking your life and wasting your time is a….pair of iron boots and a low quality health potion. Unfortunately, the depressing let-down presented above happened all too often in Oblivion. No more, says Bethesda, as the world of Skyrim has been lovingly hand crafted one dungeon at a time. Scary huge dungeons will contain scary enemies, not lonely wolves, and reward adventurers who venture into their depths in search of loot. Bethesda has even confirmed that there are over 120 dungeons in Skyrim, each more unique than the last. This is a very welcome change, as the wonderful sense of exploring the unknown looks to make a comeback in the Elder Scrolls V Skyrim. 4. No More (True) Level Scaling! To go along with thought out dungeon crawls and balanced loot tables, Bethesda has taken note of its past criticism and eliminated Oblivion's static level scaling system in Skyrim. This is fantastic news, as level-scaling absolutely crippled immersion in Oblivion. There is nothing quite as frustrating as emerging from a high-level dungeon dive with your first piece of enchanted Glass armor, and then seeing a simpleton highwayman down the road in a full suit of Daedra armor. True level scaling simply isn't fun. Thankfully, these experiences won't be in Skyrim. Instead, Bethesda has opted to build the world one pixel shader at a time; enemies in certain areas will stay within a strict level-range, no matter how strong you become. There may be some nasty named enemies hanging around dungeons though, so avid explorers must proceed with care. However, while true level scaling is gone, Fallout 3's refined scaling system is in place. This system places a range of levels on a specific area, say levels 9-12 for the Dark Forest area. If the player is level 8 when he/she arrives in the Dark Forest, most of the enemies there will be level 9 or 10, but if the player is level 13 when he/she arrives, the enemies will be level 11 or 12. This system keep content fresh for longer, as players do not immediately trivialize content as they level up. Hopefully, this system works, as the elimination of true level-scaling should improve immersion and add some real value in exploring the world of Skyrim. If you have seen the recently released teaser trailer for the Elder Scrolls V: Skyrim, then no doubt you know that dragons, yes dragons, are in Skyrim. Players assume the role of the Nordic prophetic legend of the Dragonborn, with one new very special ability to go along with villager's heightened expectations; Dragon Shouts! What are Dragon Shouts in Skyrim? 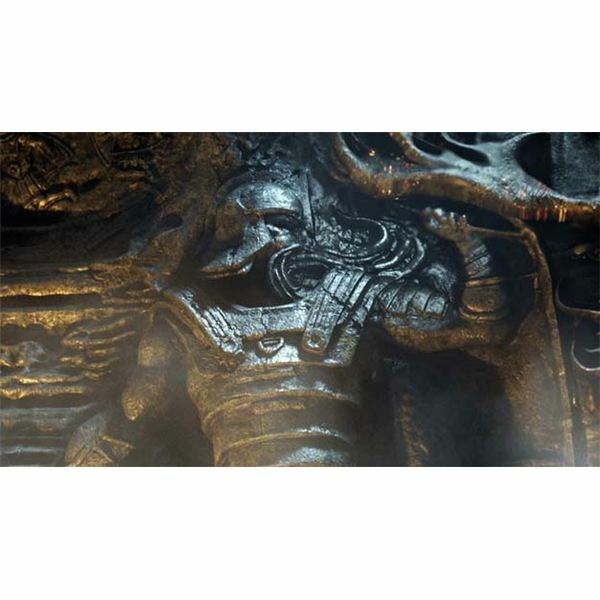 Well, every time the player kills a dragon, the Dragonborn (also known as you) is able to absorb its soul and gain some of the dragon's power. That power comes out in the form of very special Dragon shouts, which bestow special effects on the player and very damaging effects onto any targeted enemies. Why is this so special? Well, Oblivion's medieval high-fantasy world had not one special ability, skill, or perk in the entire game world. Nobody remembers that "special" time they learned "Soul Trap" and was able to magically recharge their items. But critics and gamers will likely be abuzz with appreciation for the impressively cinematic and powerful Dragon-Shout abilities. Heck, even the trailer makes simply absorbing souls look amazing. That is why Dragon-Shouts, not to mention the awesome looking dragons, is one of the most anticipated Elder Scrolls: Skyrim gameplay changes we know of right now. The Elder Scrolls IV: Oblivion ranks highest on the Unintentional Comedy Scale in Big Budget Games solely because of one oversight; Bethesda hired monkeys to work on animation. Ok, that's not really true – but the truth is that Oblivion has god-awful character animations. Not only do characters look like they constantly have a stick shoved up you-know-where, but most monsters have gimpy attack animations. Example A: Wolves stop still for 2 seconds to wind up before they attack, making dodging what should be a challenging and agile opponent extremely simple. Even terrifying ghosts and wraiths stumble into attacks with the speed of a three-legged donkey. Facial animations – an aspect that Bethesda promoted endlessly – look forced and hilariously awkward. The truth of the matter is that Oblivion's animation ideas were great, but their execution was less than stellar. Luckily, it looks like Bethesda has taken much of this criticism to heart. Animations in real-time trailers look crisp and clean, with a certainty of weight to them. Drawing a bow back looks difficult, yet deadly. Running through the forest at breakneck speeds is jostling and provides an intense adrenaline rush. Even talking to that ever so lovely blonde bar wench is satisfying – no more plastic doll faces – as you can clearly see happiness and a sense of comfort in her animation. Excellent animation can put a "good" game over the top, and it looks like Skyrim may just ascend that summit sooner rather than later. Combat in the Elder Scrolls series has always been a work-in-progress. In Morrowind, combat was entirely D&D based statistics, requiring hundreds of swings to actually connect a blow to even a lowly mudcrab. Obviously, this wasn't the best system for a real-time first-person based combat system. Bethesda took a step in the right direction with Oblivion's combat system. It dumped Morrowind's complicated 100% behind the scenes statistical analysis and instead introduced a one-half player skill, one-half player level algorithm to compute damage. Unfortunately, the combat animations and physics were not up to par, feeling clunky yet weightless – an odd combination that eradicated any excitement or realism normally found in first-person combat. Bethesda has promised us that Skyrim combat will feel very, very different. 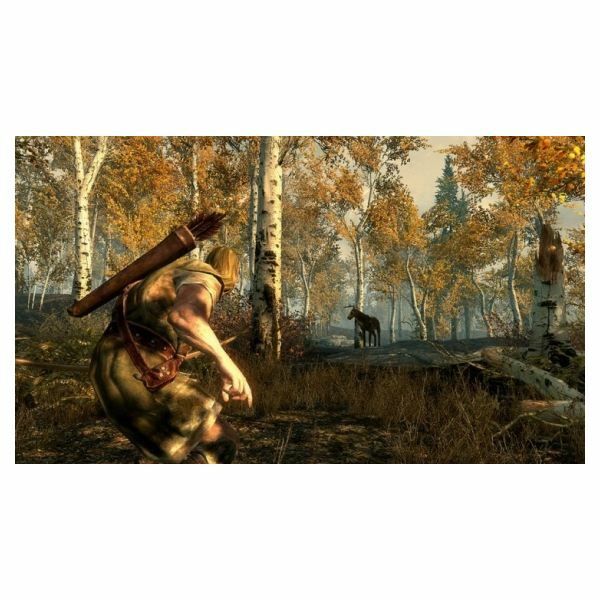 In fact, Bethesda used real-life examples of different fighting styles for inspiration. This has resulted in combat having a frantic and brutal feel to it. 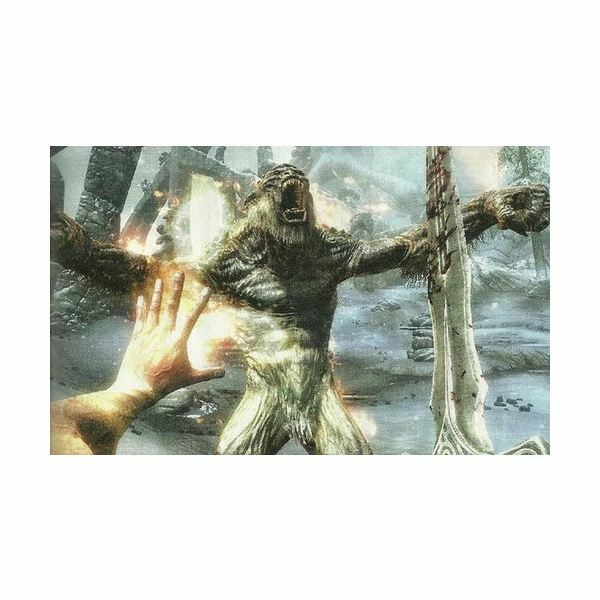 Nothing exemplifies this brutality more than the slick new Skyrim finishing moves, where players land a death blow in a cinematic and sickly satisfying move – akin to Mortal Kombat's less insane fatalities. Aside from Skyrim's new adrenaline-rushed sword play, Bethesda has also introduced a more complicated spell casting system. Players can effectively dual-wield spells, casting them both to induce devastating combo effects. Also new is a timed block system, where players can only hold up shields for a short amount of time before getting side-swiped by a massive bear claw. This system requires players to actually think in combat, not just hold down on right-click and wait for an opening to appear. All in all, The Elder Scrolls: Skyrim is shaping up to be one of the best PC games of 2011, thanks mainly to its massive gameplay innovations. Be prepared to give Bethesda all the credit in the world, as they seem to have taken their criticism to heart this time around. A collection of reviews from both before and after the official release of Elder Scrolls V: Skyrim.